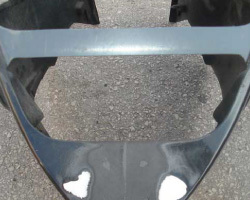 Specialising in Fairing Repairs, Car Bumper Repairs, Motor Cycle Fairing Repairs and Fix Fairings and all forms of Damaged/Broken Plastics within this industry JBR Plastics are the top of their field in Repairing Damaged Pastics. 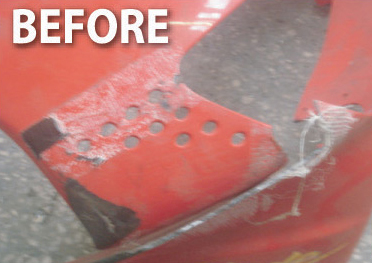 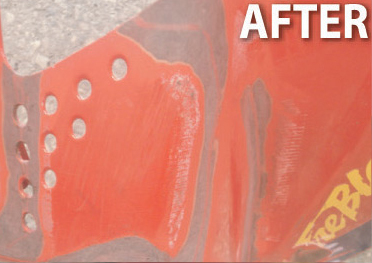 Here are some illustrated examples of before and after repairs and modifications by JBR PLASTICS. 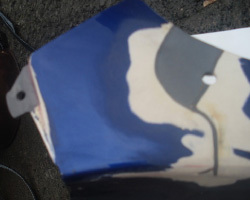 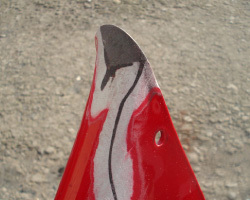 If you happen to have BROKEN PLASTICS/BROKEN FAIRINGS, don’t throw them away, it is more than likely they can be fixed (PLASTIC WELDED) and sprayed (we do not spray them ourselves) for less than half the price new ones would cost!